Mark is a founding partner of Energy Edge and the chief architect of our advisory services and solution oriented approach. He has proven expertise both inside the industry and as an outside vendor/consultant, bringing detailed performance analysis and innovative ideas to the market during a time of great challenge. 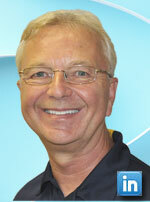 Mark advises dealers and technology vendors across a broad spectrum of specialties. Mark Stillman has nearly 20 years of hands-on management experience in the energy industry including retail and wholesale front line operations, fuel buying and hedging, and industry specific technology solutions. He has proven expertise in operational analysis, energy risk management, business process design, as well as a deep practical knowledge of vertically specific technologies. Mark's broad career exposure and executive level positions have given him a unique and comprehensive view of downstream energy. Mark most recently served as Chief Operating Officer for Hedge Solutions, Inc., a risk management advisory and OTC trading firm. Prior to that, he held the positions of Director of Business Development for ADD Systems where he focused on back office and Business Intelligence platforms, and VP of Operations for Vertrax,, an organization that provides route logistics and fleet optimization solutions to retail dealers. Mark began his energy career with management positions at both HOP Energy and Suburban Propane Partners, roles that gave him firsthand knowledge of daily operations. Mark holds a BS in Applied Economics and a BA in English from the University of Connecticut. John is a founding partner and the Managing Partner of Energy Edge as well as our resident expert in business development and marketing with a proven track record for building businesses that are rewarded by the marketplace. John has over 30 years' experience building businesses for companies ranging from small local proprietorships to international publically traded market leaders in various industries including consumer packaged goods, services and energy. This breadth of business development and marketing experience brings to his Energy Edge clients a cross-industry perspective resulting in business solutions that work in the most complex and competitive markets. His first-hand experience operating downstream energy companies guarantees his client's realistic plans can be successfully executed with expertise in home heat, propane, commercial fuels, electricity, natural gas, solar and renewable energy. Over the past decade, John has developed industry-leading e-commerce knowledge for downstream energy companies, having led companies that have acquired more customers and sold more fuel online than others. John's responsibilities with Energy Edge are confined to management and advisory roles. John is currently the President of Smart Click Energy LLC, a northeast U.S. energy marketer, past President of PriceEnergy.com (Rockaway, NJ), former Chief Operating Officer of Able Energy (Rockaway, NJ), and has served as VP of Business Development at Vital Services Home (Wilmington, DE), and Residential Segment Manager for Conectiv Enterprises (now part of PEPCO). John has honed his business development skills in the highly competitive consumer packaged goods market where his fingerprints can be seen throughout supermarkets across the globe. 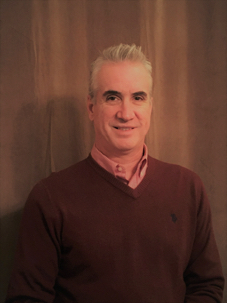 John served as Director of Marketing at Snyder's of Hanover (Hanover, PA) and as Group Product Marketing Manager for Hormel Foods (Austin, MN). One of our partners will individualize a strategic plan for your business.